Understanding the culture and environment in which the Bible was written can often prove to be helpful for understanding the biblical text. If we take just a very brief look at how temples were perceived in the Ancient Near East (the environment in which the Bible originated) and then go back and look at the biblical text, we gain some insight for understanding the significance of the relationship between temple and creation in Scripture. In the last post I mentioned the Babylonian creation account known as Enuma Elish (which is really an account of how Marduk became the supreme Babylonian god rather than a creation account) and noted some of the similarities and differences between it and the biblical creation account. For the purpose of this post I would like to point out that in the Enuma Elish the final act that takes place, when all other things have been accomplished, is the building of the temple where Marduk dwells. 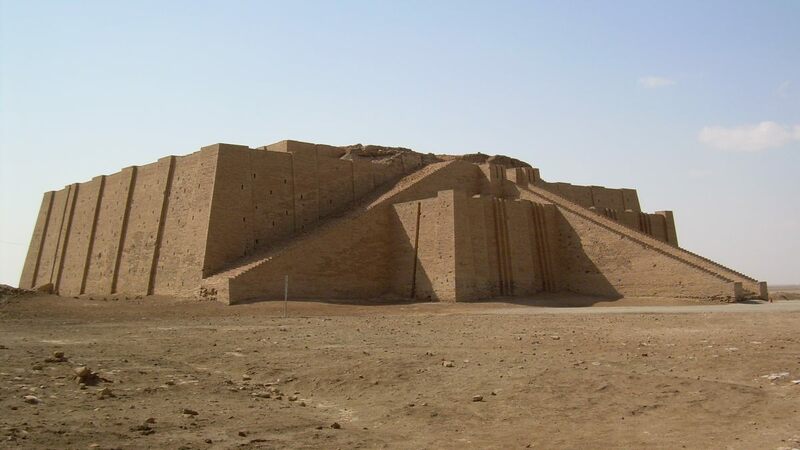 With the building of the temple Marduk is established as the supreme lord of heaven and earth. All the other gods are also apportioned their stations and the sacrificial system is set up whereby each of the gods is granted a portion of the proceeds. An order is set up on earth which mirrors the order of heaven. The temple is the place where Marduk and all of the gods with him find rest. All of these things point to the interconnectivity of the temple and creation. The temple, in a way, becomes the dwelling place for the god and from where the order of the cosmos is maintained. I also want to look at another example of the relationship between temple and creation, this time in a Sumerian text that relates Gudea’s building of a temple for the god Ninĝirsu (Gudea was king of the city Lagash in Sumeria). In this account the text states that just by laying the foundations of the temple immediate abundance will come to the earth. In another place it notes that the temple (Eninnu) separates heaven and earth. This makes it seem that the temple is the nexus of heaven and earth, the place where they come together so that the temple is the mediator between the two realms (adding to this effect is a line near the end that says, “Eninnu has grown so high as to fill the space between heaven and earth”). The text says Eninnu’s fierce halo reaches up to heaven and brings into subjugation all the powers of the earth. This creates a space for order and so we also read of the various functionaries and their responsibilities and thus the ordering of the affairs of humanity. In all of these texts it looks like the temple serves to establish the presence and thus the rule of the god on earth. It is his resting place after having established his dominion over heaven and earth and from which his rule is set up on earth so that order, blessing, and abundance come to the earth. 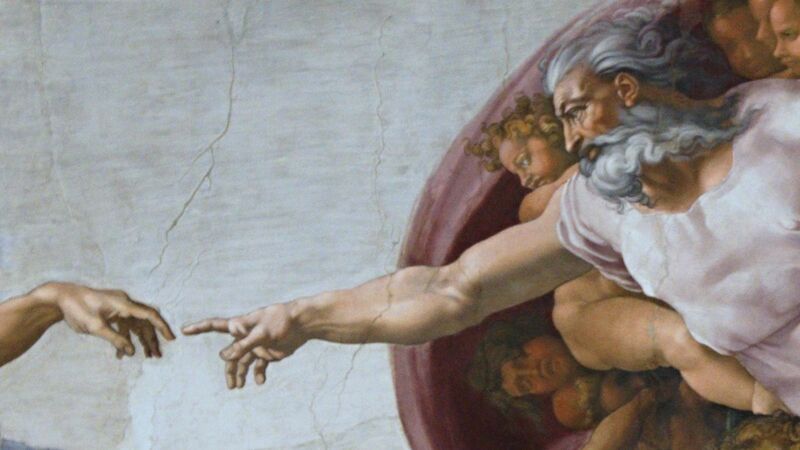 People have noticed for a long time that Genesis 1-3 has certain features that seem to indicate that the creation described there is itself to be understood as a sort of temple. For one thing we have the seven day creation. Symbolic numbers, especially the number seven is common in temple building or temple dedication literature. We also have the fact that God is present in the garden, the eastward orientation of the garden (temples are often situated with eastward orientation), and perhaps the fact that we seem to have a progression of holiness with all of creation narrowed to Eden which is in turn narrowed to the garden which is in Eden, where God is said to walk. John Sailhamer has argued that it is not coincidental that the two verbs “to work it” and “to care for it” used in Gen 2:15 are the same verbs as those used in reference to the service of the priests in the temple. The description of the garden in chapter 2 also has some parallels to the description of the temple in Exodus with the precious metals, the trees in the garden, and the cherubim that guard the way back to the garden (Genesis 3). I don’t think it should surprise us to find temple imagery in the garden, especially if the temple is the place where God dwells among people and the place from which he rules his creation bringing order, abundance, and blessing. This has something theologically rich to say about creation. Creation is a temple. Creation is meant to be the place where people are in the presence of and in fellowship with the Holy God, YHWH. Of course on one level we were already aware of that because of the statement in Genesis 3 that God was walking in the garden. But when we recognize the temple imagery all of a sudden the presence of God in the garden becomes more meaningful still. Creation is meant to be a temple. We were made to be in fellowship with God, to have his just and righteous rule guide our lives, to be holy, to experience his blessing and abundance—to live in a harmonious cosmos with the Holy God and with his creation. We can hardly stop there. If there is temple imagery in creation, then we can’t also help but notice that there is creation imagery in the temple. This is also common in the ANE. (I won’t go into detail here but for more on this read John Sailhamer’s The Pentateuch as Narrative or Gordon Wenham’s article in I Studied Inscriptions from Before the Flood (you can see at least a limited preview of the latter in Google books ). One important difference between the creation temple and the tabernacle of Exodus is, of course, the sacrificial system. The purpose of the sacrificial system is to deal with the sinfulness of people that arose due to the fall. But this makes the imagery of the tabernacle and later the temple even more powerful. They hold out to us the hope that through them (and the sacrificial systems associated with them) we will be able to return to that creation rest of Eden. The tabernacle is the place where we find the presence of God; it is the place where we once again meet with and dwell with God. There is a big lesson in the tabernacle–we have to deal with sin if we’re going to return to the creation temple and the presence of God. Of course Christ is the sacrifice that was finally able to deal with sin once and for all and so it is again no surprise that tabernacle/temple imagery comes out once again at the very end of the Bible. This time, in Revelation 21 we have the description of a new heaven and a new earth. Somewhat surprisingly this new heaven and new earth is described not as a temple, not as a garden, but as the Holy City–the new Jerusalem. But of course, because this is the new heaven and the new earth, the tie to creation is there. So is the tie to the temple. The city is described as the dwelling of God, it is the place where he will sit on his throne, the city is a cube—like the tabernacle’s holy of holies, and the twelve foundations and the twelve jewels and the gold–all these things remind us of the temple. The only problem we find in associating this new city with the temple is in Revelation 21:22 where it specifically says, “I did not see a temple in the city.” But we read on, “because the Lord God Almighty and the Lamb are its temple … Nothing impure will ever enter it, nor will anyone who does what is shameful or deceitful, but only those whose names are written in the Lamb’s book of life.” In other words, the temple is absent only in the sense that there is no need for a sacrificial system. There is no need for God to be separated from his people because his people have once again been made holy and blameless. This is the new heaven and the new earth which, like the first creation, had no need for a sacrificial system. Even without a sacrificial system it was the place where we walked in the presence of God, enjoying his fellowship and the abundance of his blessing.